Nvidia HDMI Inaccurate Colour Fix. Nvidia HDMI Inaccurate RGB Colour and Fix. If you are an Nvidia user and do run your display through HDMI you may be getting limited colour accuracy. By default Nvidia drivers use a limited RGB spectrum, with 16-235 levels of colours instead of the full RGB spectrum of 0-255 colours. This issue has apparently been on Nvidia Drivers for years so those with Nvidia GPUs who run PC displays via HDMI have been unknowingly living with lower colour quality for years. Nvidia are reportedly working on fixing this issue, but for now there is a community made patch for the issue here. 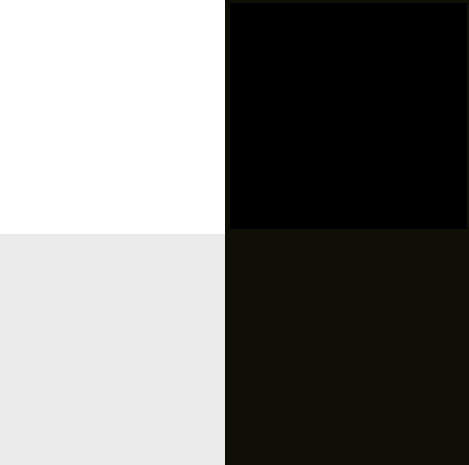 If you want to know if you are affected by this Nvidia, limited RGB issue simply look at the above image, If you see 4 distinct shades of colour on your screen(two shades of white and two shades of black), if you only see a white and a black column then you are running with a limited RGB colour range. If you require the Colour fixing Patch, remember that it is required to be installed every time you update your Nvidia drivers. As I said before Nvidia are working in fixing this issue, but the release date for this fix is still unknown. Until then affected users will need to use the colour patch. 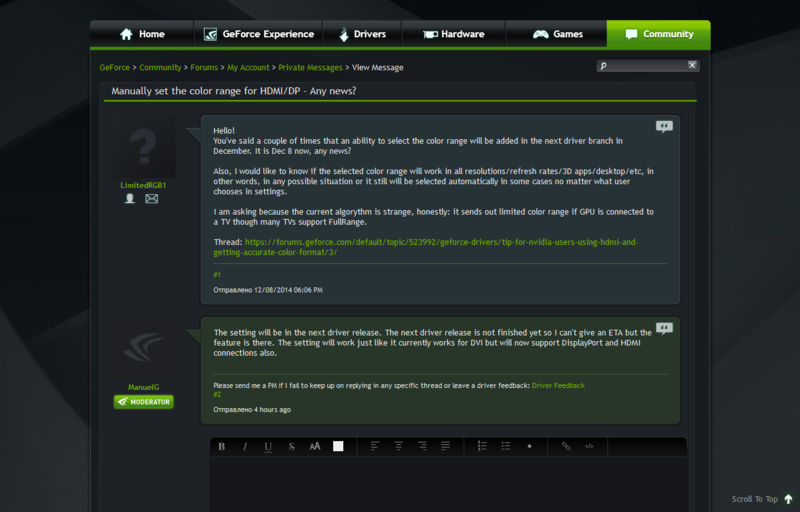 You can join the discussion on Nvidia's Inaccurate RGB colour via HDMI on the OC3D Forums. This prob has been around for a couple of years now, i'm surprised it is only just getting fixed. Here's a vid from 2012 with someone using the custom resolution work around to fix it.